Okay, so you’ve finished a book. You’ve poured sweat, blood, and a lot of coffee into it and it’s now marginally presentable. Great. Don’t slip into a temporary coma just yet! CELEBRATE your hard work, the victory over writer’s block, the battle with the muse. 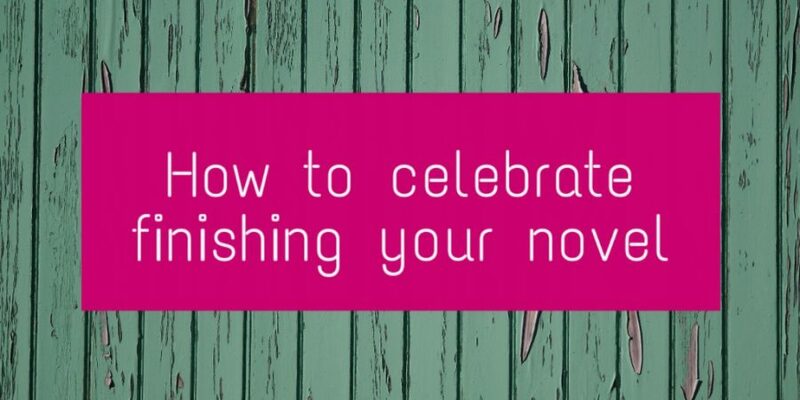 It may not be clear what your option are, or what the best way to go about it is, so allow me to present you with a manual on how to spend your day celebrating your new novel’s birth. Pamper yourself! This, of course, means different things to different people, but here are a few suggestions. You could go to the spa and get a facial, a massage, or a pedicure. It will turn those sore muscles into jelly. You could also put on a facial at home or get your partner to massage you. The easiest thing to do is take a bubble bath and put on some relaxing music. Shut off your thoughts and become one with the bubbles. Taking a refreshing walk in The Outside is also a nice option if you don’t want to spend money. Inhaling some fresh air will be a nice change compared to the air of your office. Sleep. Sleep is definitely something high on my list when I’ve finished slaving away on a novel. Usually I already have a next idea lined up, or I’m eager to start editing, so it’s nice to literally rest and not have to worry about (self-imposed) deadlines. I recommend doing this after you’ve done all other celebratory things. Going out with friends is quite the opposite of rest in some way, but laughing the evening away with people you love while drinking something that has an umbrella in it, is quite fun. As a writer I have the tendency to prefer imaginary people over real ones, but they do have their positives. If all else fails, you could always strip naked and roll around in melted chocolate. It’s delicious and does wonders for your skin. If you’re feeling adventurous you can also do something like go skydiving or swim with goldfish. What? They’re scary. Writing a novel, no matter what draft it is, is a huge achievement. Celebrate in whatever way you wish (here are some more tips) and recognise that you did a big thing. How do you always celebrate? Let me know, you might give me new ways of celebrating!